No matter where you live, if your climate control does not work, it could lead to a less-than-pleasurable driving experience. At MyAirbags, we can quickly diagnose, repair, and replace any components within your climate control system in order to help it run like new again. With our low prices and fast, 24-hour turnaround, you won’t have to pay high prices at an auto repair shop or wait weeks for an appointment. Search for your vehicle on this page, and start the process of making your vehicle comfortable once again. Whenever you need to have a seat belt, ECM, or airbag repaired, think of MyAirbags first! Don’t buy new or used part, send your original for repair and Save Hundreds! This is a Repair and Return service of your Chevrolet Corvette (1997-2004) module unit. You will need to remove and send your part to us for repair. Fast & Easy 24 hour turnaround. Our service is 100% guaranteed or your money back. Order today and save! Don’t buy new or used part, send your original for repair and Save Hundreds! This is a Repair and Return service of your BMW 3-Series E36 (1996-1999) Climate Control unit You will need to remove and send your part to us for repair. Fast & Easy 24 hour turnaround. Our service is 100% guaranteed or your money back. Order today and save! Don’t buy new or used part, send your original for repair and Save Hundreds! 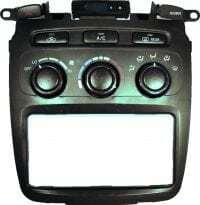 This is a Repair and Return service of your Chevy Corvette C5 (1997-2004) Climate Control unit You will need to remove and send your part to us for repair. Fast & Easy 24 hour turnaround. Our service is 100% guaranteed or your money back. Order today and save! Don’t buy new or used part, send your original for repair and Save Hundreds! This is a Repair and Return service of your existing Climate Control unit. You will need to remove and send your part to us for repair. Fast & Easy 24 hour turnaround. Our service is 100% guaranteed or your money back. Order today and save! Don’t buy new or used part, send your original for repair and Save Hundreds! This is a Repair and Return service of your Nissan Pathfinder (2005-2010) Climate Control unit You will need to remove and send your part to us for repair. Fast & Easy 24 hour turnaround. Our service is 100% guaranteed or your money back. Order today and save! Don’t buy new or used part, send your original for repair and Save Hundreds! This is a Repair and Return service of your Toyota Highlander (2001-2008) Climate Control unit You will need to remove and send your part to us for repair. Fast & Easy 24 hour turnaround. Our service is 100% guaranteed or your money back. Order today and save! Don’t buy new or used part, send your original for repair and Save Hundreds! 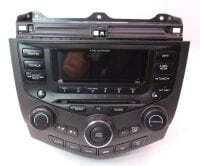 This is a Repair and Return service of your Honda Accord (2003-2004) Radio / Climate Control unit. You will need to remove and send your part to us for repair. Fast & Easy 24 hour turnaround. Our service is 100% guaranteed or your money back. Order today and save! Don’t buy new or used part, send your original for repair and Save Hundreds! This is a Repair and Return service of your Dodge Magnum (2005-2010) Climate Control unit. You will need to remove and send your part to us for repair. Fast & Easy 24 hour turnaround. Our service is 100% guaranteed or your money back. Order today and save!